LuxSci has added plug-ins to its WebMail application in version 10.10 of LuxSci’s software which includes two JAVA applets. So, were we hesitant to add JAVA applets, FLASH, ActiveX, and other plugins in the first place? And why the sudden change of heart? What does this mean for our customers who are concerned about security or who do not want or cannot use JAVA applets? Why not use JAVA applets or other kinds of plugins? Heavy: Web pages with these features load more slowly, especially for users on slow connections or with older computers. FLASH requires that the FLASH plugin be installed. On many browsers, this has to be done manually by the user. FLASH is not supported at all on some browsers. In any case, use of FLASH will not be possible for some people. ActiveX only runs on Windows. JAVA runs on many browsers and operating systems (more than FLASH), but the JAVA plugin has to be installed on some systems manually. Unlike FLASH, the JAVA implementation does not vary between browsers and operating systems. FLASH has minor variations. Technical Support: Use of these features results in increased technical support requests due to random issues with regards to browser support, compatibility, and usage. So, with the end user’s security, ease of use of your web site, and your own technical support costs in mind, its is clear that there is no need for or gratuitous use of these technologies, no matter how fashionable they may purport to be. Providing as many of the standard features of regular LuxSci WebMail as possible. One side effect of these requirements, in addition to enhanced security and privacy, is a very fast web site! We have recently updated the Xpress portal with one further requirement: mobile support. Xpress WebMail now also works very well on mobile devices and PDAs that have very narrow screens. LuxSci’s Xpress Mobile portal is a simple, fast, secure portal for WebMail that works on most web browsers of any size, as long as cascading style sheets are supported (which is considered universal these days). Why would we then ever want JAVA applets or related technologies? Download Many Files at Once. In a regular web site, you can only download one file at a time, after clicking on a link. If implemented by the web site, you could download a ZIP file containing many files, but then you still have to deal with unzipping it — and ZIP files can only be “so big”. Wouldn’t it be great if you could select a bunch of files (maybe hundreds), point to a directory on your computer, and say “Download!” … and it would all be taken care of while you get a cup of coffee? All of these things can be done using various plugins or applets, as those objects can access your local hard drive and can support interacting with your computer in a way that permits drag and drop. These are among the features of LuxSci’s two new JAVA applets — the “Bulk File Uploader” and the “Bulk File Downloader”. OK, but why choose JAVA and not something else? It turns out that JAVA fits these criteria better than any of the other available technologies. 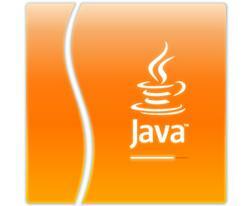 JAVA support comes installed and enabled by default in FireFox, Opera, and Safari. Some browsers (like Chrome and some versions of Internet Explorer) require you to download the JAVA plugin (but this is very easy). Plus, all of the browsers that we normally support have excellent support for JAVA. Also, JAVA applets have matured a lot in the last 10 years and are really much more stable and reliable than they used to be (though they still have issues here and there). Also, JAVA has a really good security model and a good track record. What features of LuxSci use the new JAVA applets? Download all attachments in an email message at once. Download all selected email messages at once as individual “eml” files. Upload up to 250 files at once consuming up to 1 GB of space to be attached to any WebAide Address Book, Calendar, Task, or Documents entry. Upload up to 250 files at once consuming up to 1 GB of space to a Documents WebAide, making new Documents entries for every file (and optionally PGP-encrypt them in the process). What about folks who don’t want to or cannot use JAVA? What about Security? LuxSci has integrated these features in such a way that the conventional means of uploading and downloading files and attachments is presented first and the use of the JAVA applets for enhanced functionality is optionally accessible by clicking on a link. This means that if you do not need or do not want to use the JAVA applets — you never have to use them or see them. If you have JAVA disabled in your web browser — no problem, you will not be able to use these new “convenience” features, but you will still be able to do everything else. It also means, even if you are normally against using JAVA and have it disabled, that you can choose to enable it for a little while should you find yourself needing to upload or download lots of things and want to save time. When you are done, disable JAVA again. So, the addition of these applets is unintrusive and does not detract from our security models. We have essentially provided some new, optional tools for your tool box that can make life faster and easier on occasion, should you choose to use them. And, making LuxSci simpler and more enjoyable. This entry was posted on Monday, January 26th, 2009 at 8:44 pm	and is filed under LuxSci Insider. You can skip to the end and leave a response. Pinging is currently not allowed. Good informative post.Thanks for sharing this blog.